To wirelessly connect a desktop or laptop computer to the Internet, it’s recommended to use a wireless adapter. Wireless adapters are generally used with a Wi-Fi router. There are different wireless dongles to choose from the market. The question is, which is the best adapter for your specific needs? The different wireless adapters from the market come from varying manufacturers. Some notable brands include Linksys, D-Link, TP-Link, and Tenda. These companies offer adapters with different price points, features, and specifications. In this post, we’re going to look at our top recommended wireless adapters that you can purchase from the modern market. There are factors to consider when selecting the right wireless adapter. It’s important to make your judgment by making careful thought processes. Choose the right adapter that offers stability, user-friendliness, and ease-of-installation, just to name a few things to think about. Kindly refer to our guide below to help you acquire a comfortable wireless Internet environment in your home. Choosing a good wireless adapter might look difficult at the beginning. Nonetheless, bear in mind it’s essential for you to choose an adapter that can meet high-security standards. Otherwise, your network will be at risk of eavesdroppers or even hackers. Unless proper measures are taken, just about anyone can easily access the wireless network. There are three primary security standards for wireless connections to note. These standards are the following: WEP, WPA-PSK, and WPA2-PSK. WPA-PSK and WPA2-PSK are further divided into two additional classifications, them being TKIP and AES. 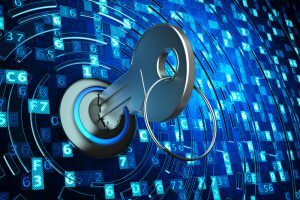 Among the mentioned wireless security standards, the safest in the bunch are the WPA-PSK (AES) and WPA2-PSK (AES) standards. Wireless connectivity is seen to be more unstable than its wired counterpart. It’s because radio signals can interfere with the connection, thereby bringing disconnections, lags, or even network errors. However, there are wireless adapters that offer advanced technologies that can counteract such a predicament. Aside from looking at the stability, you should also consider getting a wireless adapter that offers good speeds. As of February 2017, the fastest standard for modern USB wireless LAN adapters to accommodate is IEEE 802.11ac. Couple that with the fastest USB standard of USB 3.0, and you got yourself a more-than-decent wireless adapter. However, bear in mind that the adapter can only receive the fastest wireless signals that the router can allow. In other words, if the router can only deliver wireless N, then you can’t get wireless ac speeds. If the wireless adapter supports AOSS (a one-touch connection/installation method), it’s possible to perform a pairing between the master and slave units with one push of a button. Of course, don’t forget to make sure that the wireless network holds a secure connection. If it doesn’t support AOSS, don’t worry; there are now plenty of wireless LAN adapters that support plug-and-play installations. In other words, all you have to do is stick the device in an appropriate USB port, and it’ll mostly do all the heavy lifting of the installation for you. You might still have to input the correct password to the network before you can access it. Many wouldn’t mind looking at the design of a wireless adapter because they’re after its function rather than its offered fashion statement. However, there might be instances that do require you to look at the size and shape of the device before you purchase it. Ultra small wireless LAN adapters are useful for tight spaces. Otherwise known as Nano units, these tiny wireless adapters allow you to bring it just about anywhere you desire. All you have to do is plug it into an appropriate USB port, and you’re good to go. The small size is a recommended choice for bringing additional wireless power to laptops. On the other hand, if you want to receive a wireless signal from a faraway source, then you might want to get an adapter with a built-in antenna. The additional element allows the device to increase its sensitivity to acquiring appropriate radio signals from a source. 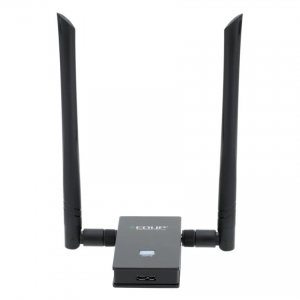 Wireless adapters with antennas are ideal for desktop computers. You’ve arrived at this point on the page where we introduce our top recommended wireless adapters that you can buy from today’s market. Use our ranking guide to let you arrive at a sound conclusion to your search for the best wireless adapter. 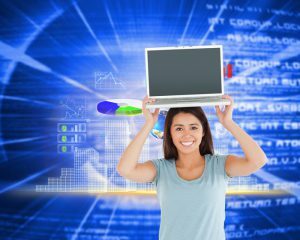 The computer world is now heavily dominated by the latest Windows operating system. You’d be hard-pressed to see computers that still have older versions of Microsoft’s OS installed. However, if you do have such a machine, then you might want to start giving it the gift of wireless connectivity. 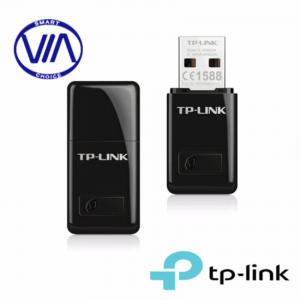 Enter the TL-WN823N from TP-Link; this wireless adapter works on new and old Windows operating systems. It can work on Windows 10, 8, and 7, just to name a few. Therefore, this product is the ideal choice if you want to make your old computer have wireless technology. Perhaps the best thing about this unit is its compatibility. Anything other than that note is just mediocre. 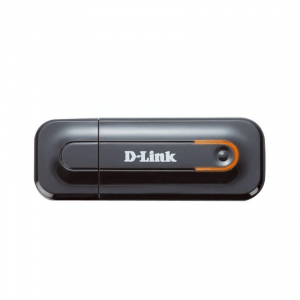 For instance, it holds a USB 2.0 standard, and it only offers average wireless transfer speeds. Have you ever wanted a device that can help you stream media using Bluetooth technology while still letting you take advantage of a Wi-Fi connection? Perhaps the first thing that pops into your mind is to purchase two separate devices. You don’t need two devices to get Bluetooth and Wi-Fi connectivity when you have the Comfast 2-in-1 USB Dongle. This wireless adapter accommodates wireless N Wi-Fi speeds (with a speed cap of 150 Mbps). It also has Bluetooth 4.0, and it’s even backward compatible. It’s a handy device if you want to stream media to a Bluetooth-compatible device from your computer. On the other hand, it’s clear that this device isn’t for everybody. Not everyone needs to take advantage of both Bluetooth and Wi-Fi on one device. 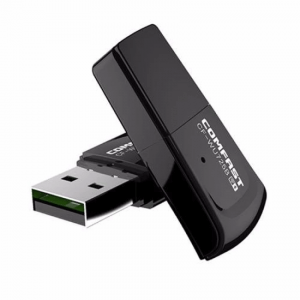 However, if you do require both wireless technologies, then the Comfast 2-in-1 USB Dongle is for you. There are good wireless adapters, then there are great wireless adapters. 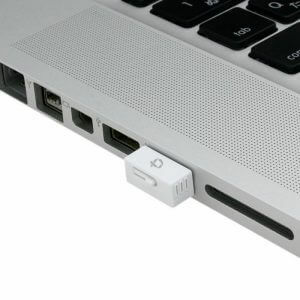 The Dual Band Wireless USB 3.0 Adapter from EDUP is in the latter category. This device brings great value for money for its price, albeit it’s not very friendly regarding desk real estate. 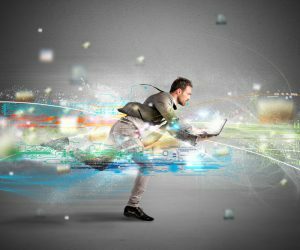 Users can take advantage of wireless a/b/g/n transfer speeds. If you think you’ll only enjoy around 300 Mbps of wireless speeds, then you might want to think again. 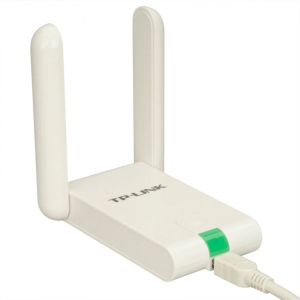 With this wireless adapter, you can enjoy up to 1,200 Mbps of wireless transfer rates. However, there are some users that report it’s a bit tough to install. If you don’t mind spending more time during the installation stages, or if you don’t mind its bulky construction, then consider getting this wireless adapter. 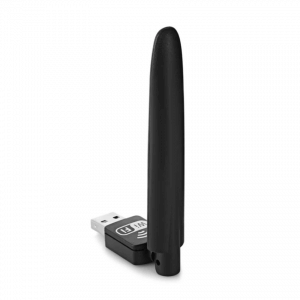 The budget-friendly sector in the wireless adapter industry can be unforgiving. Thankfully, the guys over at TP-Link didn’t skimp out in providing a great user experience with their TL-WN722N Wireless USB Adapter. This device won’t put a dent in your wallet, and it even comes with a high gain antenna. The antenna lets you receive wireless signals at a better rate than using an adapter without the element. Its wireless transfer rates are pretty decent, but it can only accommodate the 2.4Ghz band. Nonetheless, it’s still a reliable choice for anyone looking to let their computer receive wireless signals from a faraway router. You don’t get to see wireless adapters that go below the ₱ 500 mark, and yet here we are with the PIXLINK LV-UW10S. It’s a great choice for anyone on a very tight budget and would want to have a wireless technology for those emergency purposes. Aside from its very lightweight price tag, it offers a good range of features that are going to be worth every penny you spend on it. For instance, it has an adjustable antenna, and installation is as easy as counting 1-2-3. Still, don’t expect it to have the best wireless speeds or the best stability on the market. You get what you pay for with this device. One look at the DWA-123 Wireless Adapter from D-Link, and you’ll immediately notice that it doesn’t have a lot going on regarding its design. Well, you’re not looking for a wireless adapter because of its looks. However, in the case of this unit, its simplicity stems from its features as well. Overall, this wireless LAN adapter works fine. It works as intended and will give users decent wireless transfer rates. It’s a bit sad, however, that it doesn’t offer much regarding features. On the plus side, it’s not that expensive. If you’re a fan of D-Link products and would want a Wi-Fi USB adapter from the brand, then this should be on your next shopping list. Before we proceed, keep in mind that to enjoy wireless AC speeds, you need to have a router that can send out the appropriate wireless standards. Otherwise, you’re going to experience a bottleneck effect. In other words, if your router can only deliver wireless N rates, then you’re only going to receive wireless N speeds despite you using a wireless AC adapter. With that out of the way, if you do have a wireless AC router, then you should consider getting the WUSB6300-AC from Linksys. Aside from its better-than-average wireless speeds, it also brings the USB 3.0 standard to its list of features. 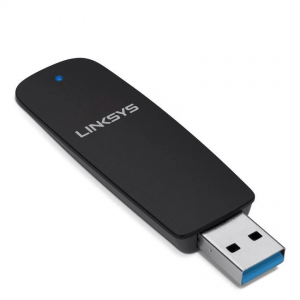 If you do have the extra cash to spend and if you have an appropriate router, then definitely think about getting this wireless adapter from Linksys. 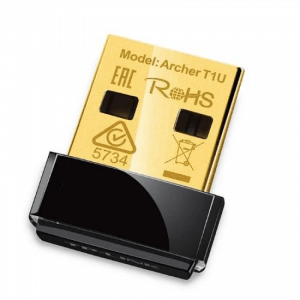 If you’ve heard the saying, “It’s not about the size, it’s about the performance,” then perhaps they were talking about the Archer T1U AC450 Wireless Adapter from TP-Link. Make no mistake because this device is tiny. However, don’t disregard its performance just because of its minuscule size. It can accommodate the wireless 802.11ac standard, and it offers one of the most stable wireless performances you can experience in such a device. It might cost more than your average wireless adapter. However, if you don’t mind spending the extra buck, then you’re in for a treat with this device. Just be sure to check if its compatible with your computer and wireless network first. 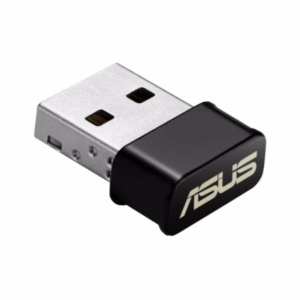 The USB-N10 Nano Network Adapter from Asus is yet another example of the old adage, “Don’t judge a book by its cover.” This small Wi-Fi adapter presents powerful features in a very compact construction. While many wireless LAN adapters on the market only cater to the Windows operating system, you can use Asus’ offering for Mac and Linux computers as well. The guys over at Asus even installed an advanced antenna system as part of its list of features. As a result, you can appreciate high-quality data streaming up to the wireless N standard. Do you have a Mac, Linux, or Windows PC or Laptop? Then definitely consider getting the Asus USB-N10. 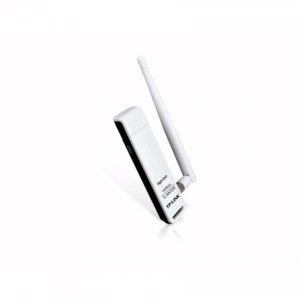 The TL-WN822N from TP-Link is our number one wireless adapter on our list for a number of reasons. First of all, the package comes with a 1.5-meter USB cable, which is a nice touch. It also comes with the drivers so it’s reasonably easy to install. Albeit the design of the product won’t make you write home about it, the TL-WN822N does come with the QSS button. This feature is the brand’s one-touch connect system. If you have a compatible router, a simple press of the button and you’re device will instantly connect to the network. Also, users connected to the network with this wireless adapter can also enjoy a secure Wi-Fi connection. Perhaps the most impressive outlook from this Wi-Fi adapter is its performance. It works stupendously well even if it’s far from the router. Ultimately, if you’re still looking for a wireless adapter, then you can never go wrong with this offering from TP-Link. Now that you’ve reached the end of our guide, how was it? By introducing your computer with the right wireless adapter, you can now easily connect to a wireless network (provided that you do know the password). With the right wireless LAN adapter, you should have a connection that’s more reliable and more stable than before. Now you don’t have to waste time trying to find a way to connect your computer to a faraway router with a LAN cable. It’s time to introduce your computer to the wireless life! Feel the comforts of having a wireless Internet connection, the likes of which that you haven’t experienced before. We hope that our guide assisted you in choosing the right wireless LAN adapter for your specific needs.